A jazz musician, a folk artist, 20 fingers pulling 14 strings & 19 ancient melodies that time has polished. Deep in the throes of the hottest summer on record in Austin, TX, Karen Mal and Will Taylor decided to make a Christmas album. It was a 112-degree "Silent Night" in their un-airconditioned recording studio in August. Even the cat was sweating. The couple had collaborated on many musical projects; his, hers, and their ensemble's, but a "Mandolin Christmas" is purely a duet in every sense of the word. It's a dance between two partners: the mandolin and the classical guitar. And that's it. 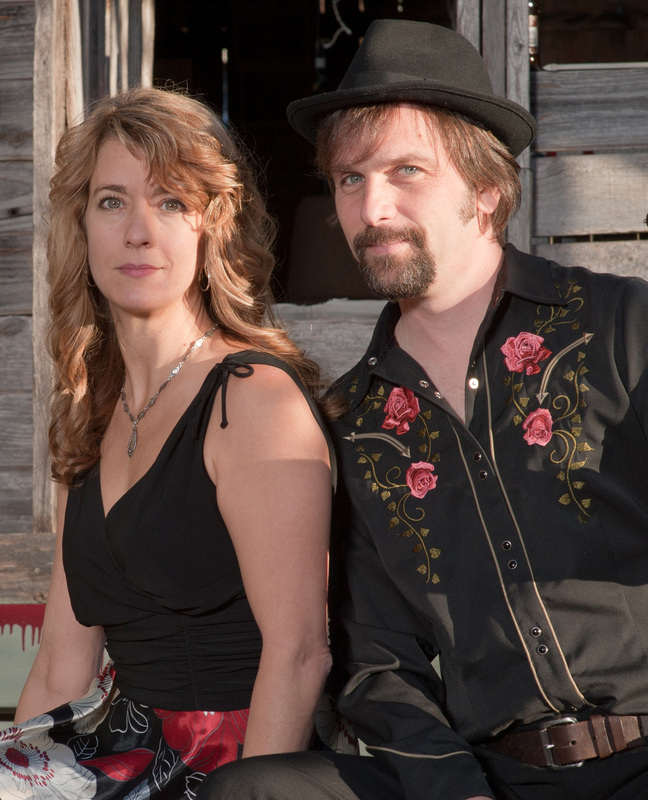 Karen and Will are perhaps better-known as vocalist and violinist, respectively, but as the tracks blossomed, the two instruments just didn't seem to want any company. There's a simple elegance in the combination that makes for a classic record. 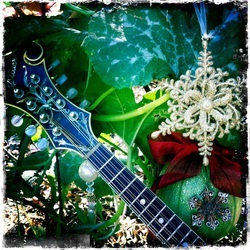 "A Mandolin Christmas" is also a duet between traditional folk music and jazz. The music includes pristine old-style classical arrangements, and also subtle and playful jazz harmonizations, weaving around familiar melodies that sound like home. You can practically smell the sugar cookies coming out of the oven, see the kitchen windows steaming up. Even the packaging is a duet. Karen staged the shots in their vegetable garden. That's a real Calabacita squash with the bow on it. (we ate it for Thanksgiving) Will took the photos and fit everything into the artwork templates. If you like Christmas music even a little, you're going to love this album. You're going to love it again when you dig it out next year, and again and again, every holiday season.